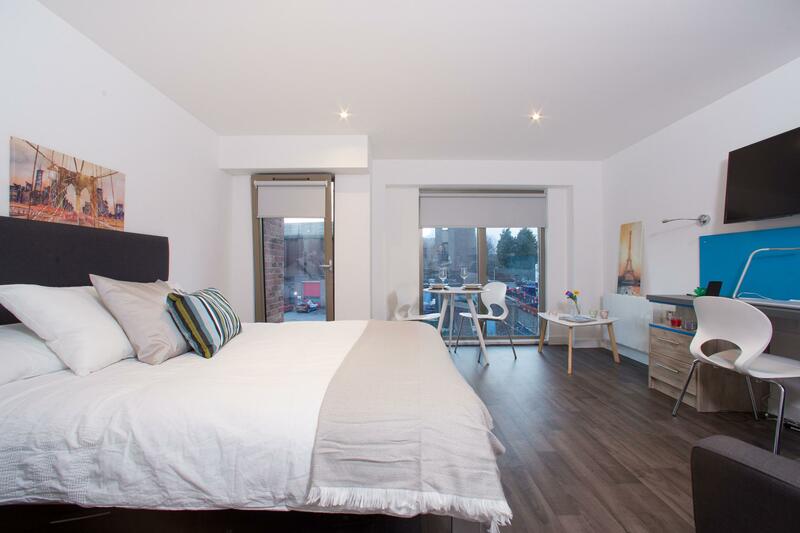 Northgate Point is a perfect place to call home for all those looking for luxury student accommodation in Chester, whether you are from the UK or studying in Chester as an international student. At Northgate Point Chester it's all about the location, being perfectly positioned so that it's within a stones throw of all local amenities. The University of Chester campus is a 10-minute walk from the residence and is within walking distance to the train station, bars and high street shops and the Grosvenor Shopping Centre. 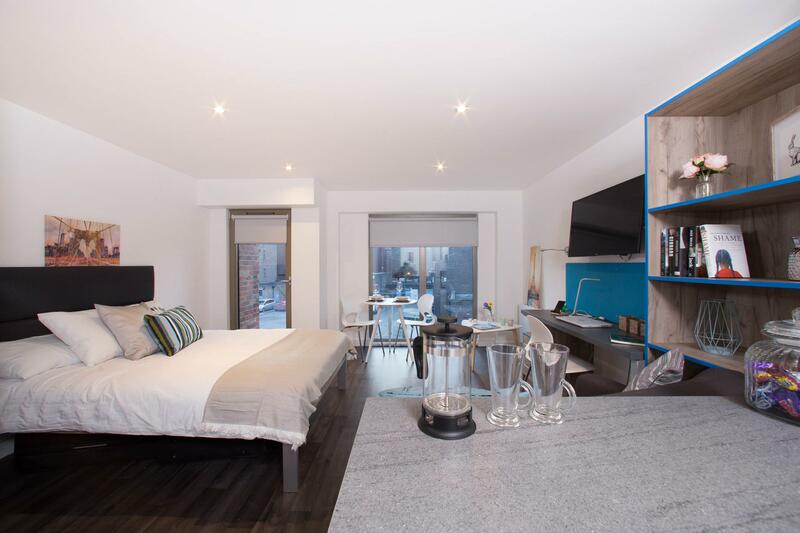 Created to the highest design standards, your high-spec Premium Studio apartment come with an en-suite bathroom, double bed, bespoke kitchenette with contemporary appliances as well as separate living, studying and sleeping areas. You even have your own flat-screen TV included for when you arrive as well as plenty of storage and a desk and chair for you to study at. Rental prices are inclusive of all bills and contents insurance and the site is secured with a 24/7 manned reception. Wifi and broadband are available in your room and throughout the residence.